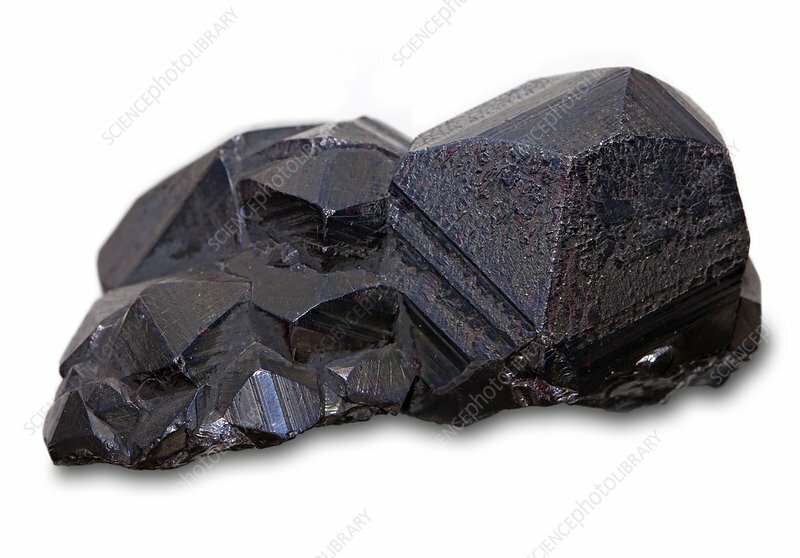 Pyrargyrite crystals. Pyrargyrite is a sulphosalt mineral consisting of silver sulphantimonide. Known also as dark red silver ore or ruby silver, it is an important source of silver metal. This sample is from the St Andreasberg mine in the Harz mountains, Germany, and measures 85 mm across.